December’s patient of the month is ‘Valentino’ Girard. 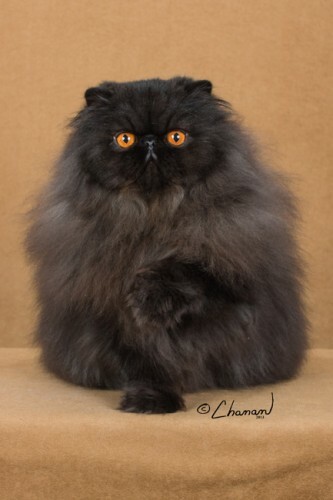 He is a 3 year old Persian kitty who was a world class show cat. He is now retired and living the good life. Persians are a long-haired breed of cat characterized by their round face and shortened muzzle. The first documented ancestors of the Persian were imported into western Europe from Persia around 1620. They are known for having a sweet and gentle temperament. Valentino was in to visit us recently as he had a fall at home and his mom wanted to make sure he had not suffered any injuries. In his exam he was examined thoroughly and x-rays were taken. Luckily, no injuries were noted and Valentino was able to go home and get back to his usual routine of following mom around and playing. Mom says Valentino is pretty doglike in temperament and comes when he is called. As you can see from his picture he is super handsome and pretty hard to say ‘no’ to.